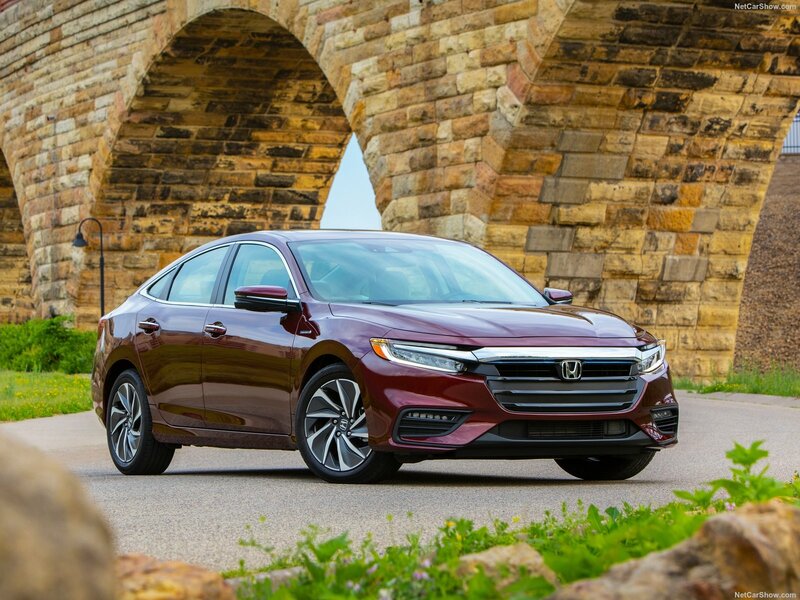 Even though the Hyundai Sonata was refreshed just this year, it seems that the automaker has no intentions of keeping the current model for long. This was revealed after the spy shots of a 2020 Hyundai Sonata being tested were taken in. 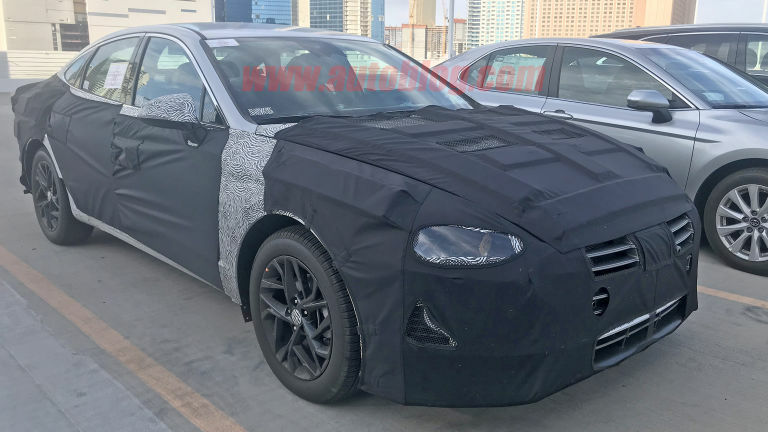 The midsize family sedan prototype was found testing in Las Vegas alongside competitors. If this is the model that Hyundai is supposed to push to production as the 2020 Hyundai Sonata, then it is sure that the new model will look largely different from the current model. As seen in the spy shots, the prototype shares almost no design trait with the current model. For starters, the spied car looked considerably wider than the current Hyundai Sonata. When you look closely, you can notice that this is mainly because the headlights in the new model now sit in line with the grille instead of just above the grille as seen in the current model. The grille – although a little vague in these images – resembles the grille of the current model which is also shared among a few other Hyundai models. The fenders also wrap a larger distance of the car from the top which adds to the car’s wider looks. Even the general profile of the spied prototype is completely different from the current model of Hyundai Sonata. There is a clear distinction between the engine compartment are and the windshield instead of both being blended. The current model of Hyundai Sonata has a more blend between the engine compartment, the windshield, and the trunk. Also, the car is curved slightly at the bottom of the greenhouse, giving the spied prototype a much sleeker and graceful look instead of an upright stance. The rear of Hyundai Sonata usually has a fastback look, but this new model is stretched out a bit more than the current model. This also helps in making the car look sleek than upright. 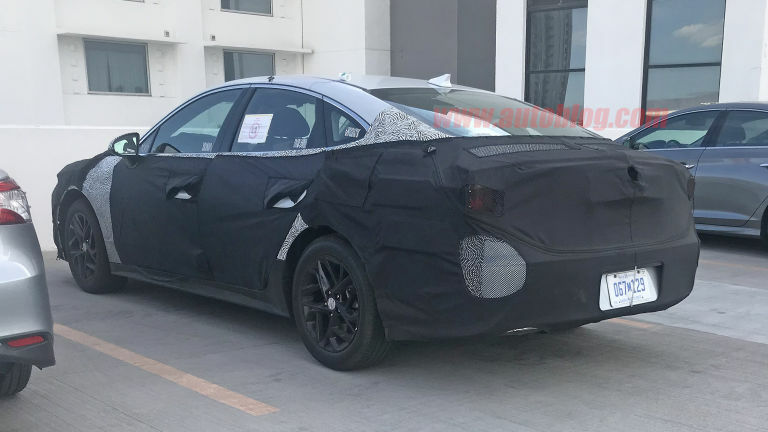 Even though this is the first time that a new Hyundai Sonata has been spotted after the 2018 model, it still looks like the model has seen quite some designing and most of it looks ready for production. Expect to see an official unveiling of the 2020 Hyundai Sonata somewhere in 2019. Till then, we can only wait for something more to turn up. Doctor by profession, car guy by passion.